“People ask me how I knew it was time. There was no watershed, but a slow accumulation of miseries. Ody had been in serious decline for six months. Partial paralysis of his laryngeal muscles made it hard for him to breathe, and he would begin to pant at the slightest exertion. His once deep tenor bark had transformed into a raspy Darth Vader croak. The signals from his addled brain often failed to reach his body, so when I walked him he left a Hansel and Gretel trail of pee and poop behind him. His muscles atrophied, and his walk was crab-like and unsteady. He grew increasingly uninterested in food and people, his two great passions. Worst of all, he began falling more and more frequently and was unable to get up by himself. 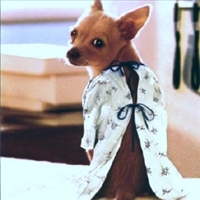 Euthanasia is deeply entrenched in the culture of pet keeping in America, and for the vast majority of companion animals, death will be orchestrated by a human caretaker, the time and date chosen in advance and not, as it were, decided by ‘nature’ or some higher power. Yet despite its ubiquity, we rarely question its moral appropriateness. 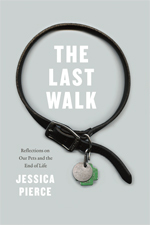 For more Jessica Pierce, visit her on the web here, and read her ongoing blog for Psychology Today here.